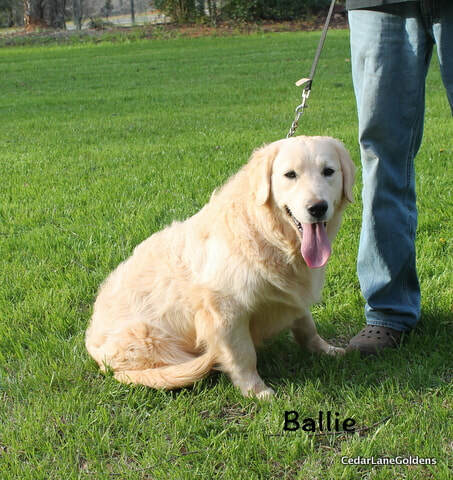 ​The Golden Retriever is one of the most popular dog breeds in the U.S. The breed's friendly, tolerant attitude makes him a fabulous family pet, and his intelligence makes him a highly capable working dog. Golden Retrievers excel at retrieving game for hunters, tracking, sniffing out drugs, and as therapy and assistance dogs. They're also natural athletes, and do well in dog sports such as agility and competitive obedience. Here are our adults!! 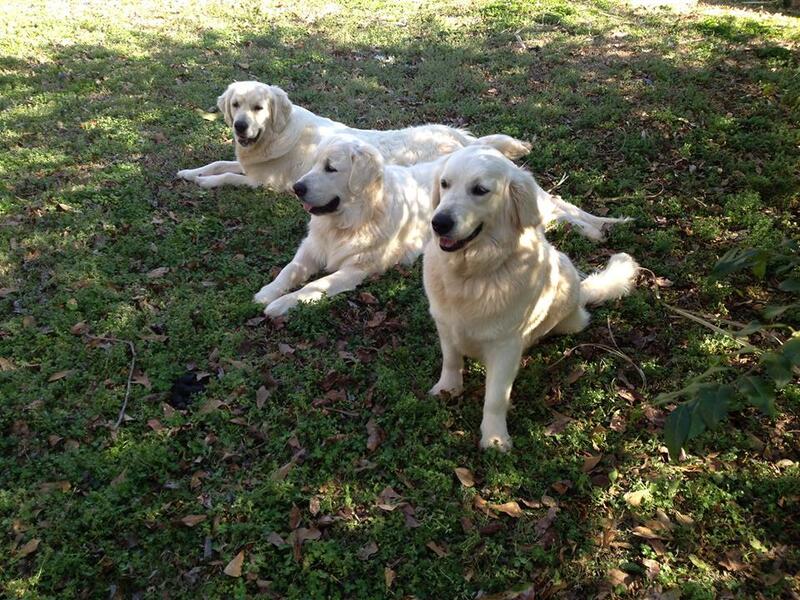 They have good pedigrees and are full AKC registered. Daisy is a beautiful, gentle female Golden! Dixie loves to be petted and loved on! 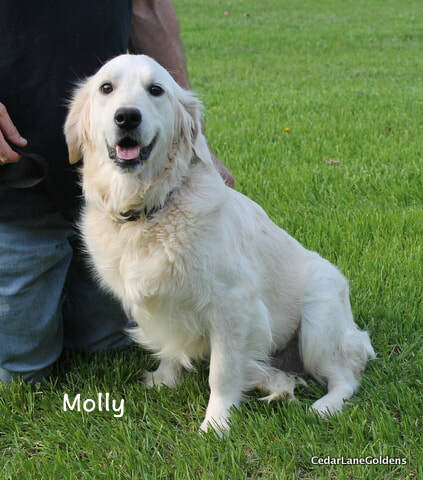 Molly is our newest momma and she is a good one! 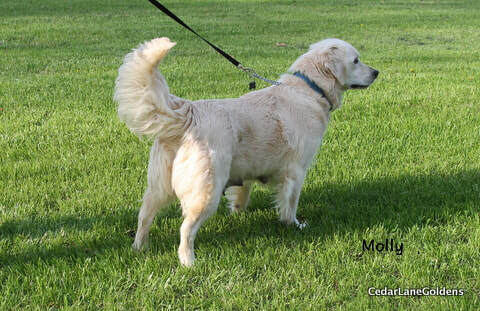 ​Molly is from European descent.